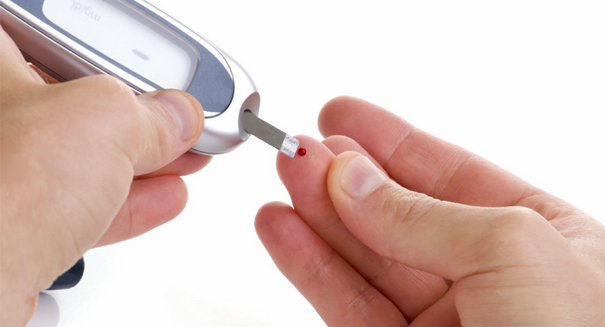 A new study finds that getting rid of diabetes actually requires one simple method. If you suffer from diabetes, there’s good news: curing yourself of it may be a lot simpler than you think. An eight-week crash diet could actually totally reverse type 2 diabetes, completely eradicating the disease even six months after stopping the diet, according to a Newscastle University statement. It’s a huge breakthrough that could lead to a major shift in how we understand and treat diabetes, which 3.6 million people struggle with in Britain alone. Type 2 diabetes happens when the body fails to produce enough insulin to control the blood sugar levels in our bodies, which can often result in dangerous levels of obesity and can lead to amputations of limbs, vision loss, and even heart attacks. Scientists had long though that the condition was basically incurable, but now evidence is growing that there’s a very simple way to kick diabetes for good. In this particular diet, diabetics ate just 700 calories per day — the typical recommended level is 2,000 — consuming nothing but diet shakes and vegetables over eight weeks. A total of 12 out of 30 participants saw their diabetes completely reversed after the diet. When the participants gradually increased their eating after the crash diet, which remained at a third less than average, none of the participants in the study had put weight back on six months later. “What we have shown is that it is possible to reverse your diabetes, even if you have had the condition for a long time, up to around 10 years,” Professor Roy Taylor said in the statement. “If you have had the diagnosis for longer than that, then don’t give up hope – major improvement in blood sugar control is possible.